"It’s a lovely looking bag with that gorgeous star print. I was surprised at how many toys fitted inside it. The basket isn’t huge but it holds a surprising amount." "It fits our decor really well. The size means Lucas can easily see his toys inside. It’s made of great fabric that will withstand the test of time." 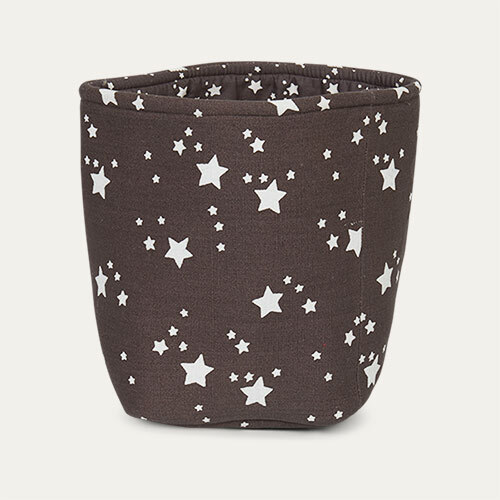 "Bring a starry style to any nursery or playroom!" 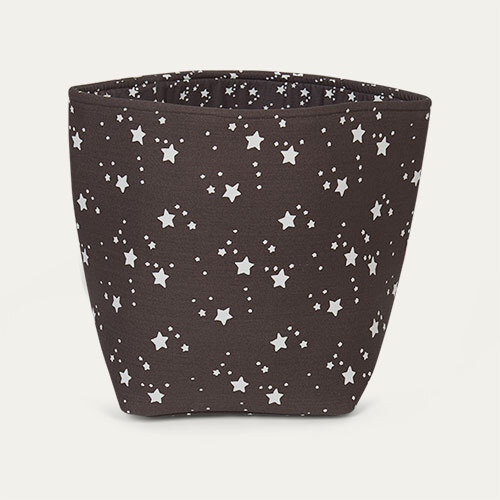 The Large Star Basket is a roomy, storage solution perfect for kids' bedrooms and playrooms. 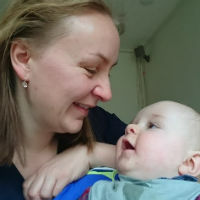 Made from sturdy cotton, it's great for holding toys and chunky blankets . Available in three sizes - buy one for a decorative touch or get the trio for a matching look.